Save space and leave the tangled messes at home! 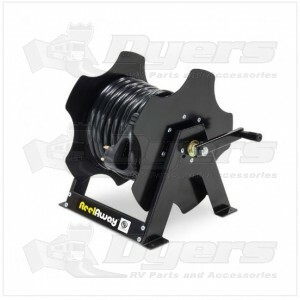 Power cord reels help free up storage compartment space and help keep RVers organized in tight, often cramped spaces. With optional mounting equipment, cord reels can be screwed securely in place and are perfect for both short spaces and tall and narrow spaces.